In the circles that I run in, there is often a lot of positive conversation happening about the need for women to stand up, to lead, and to be strong — but there is often a bit of negative conversation, too. I don’t mind having hard talks, but I’d rather have them over coffee than over the internet. I just think there’s something significant about looking into someone’s eyes when conversations get difficult. It helps us remember (especially when we disagree) that we are all real people, with real stories . . . and that we matter, more than we could ever imagine, to the God who made us and transforms us. So I don’t want to talk about controversy right now. I don’t want to debate. I just want to say something to the women who are trying their hardest to make a difference for Jesus and His Kingdom. It’s something I wish I had heard more often when I was trying to figure out my place in the Church. You matter. You’re needed. You’re loved. And I’m so glad I get to do ministry alongside of you. 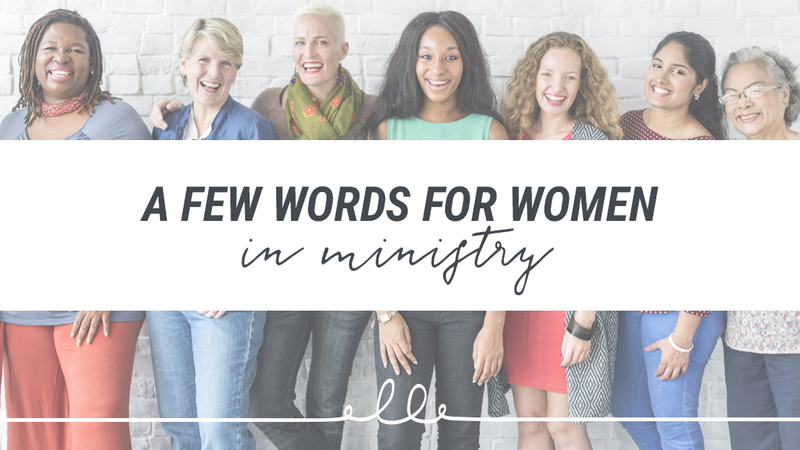 And ladies, if you’re a youth pastor or church leader looking to meet some other women who do what you do, I’ve found at least one little community for that purpose. And you’ll probably want to get acquainted with the amazing women I linked to at the top of this post, too.